Who should I contact about the development? If you are interested in applying for one of these properties please see ‘How to apply’. 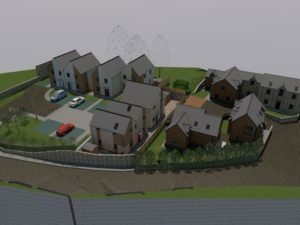 When completed these properties will be allocated through Pembrokeshire Council’s Choice Homes according to the Newport Local Letting Scheme to those with a connection to the Newport Town Council area with the greatest housing need. When ready, they will be advertised on the ChoiceHomes@Pembrokeshire website. Who will qualify to live in the new homes at Iard Y Parrog? Not currently live in the Newport Town Council area as their only or principal home but have lived in this area for at least five out of the last 10 years. Have a housing need and been awarded a GOLD band, SILVER band or a priority card.